So what exactly is musicians’ health? This is a blog I’ve been wanting to write for over a year, so I’m very excited to finally be writing my first post. Since this topic is something that’s very personal to me, I hope that my readers will be enlightened by what I write and that they’ll freely provide feedback and ideas for subjects they might find beneficial for me to write about. I believe that the most important part of any career community is the sharing of ideas between people to create change. The music community is especially tightly knit because we’re constantly working with other people in many different ways to create and perform music. This creates a naturally close community, where you often know a lot of people in your field since they were teenagers or young adults from across the country or continent. However, while people frequently share their musical ideas, practice strategies and even their own experience with injury, there comes to be a natural discrepancy between advice. For example, ideas of violin technique have historically been around for many years and, although they can sometimes be outdated, are techniques that are widespread and established. On the other hand, musicians’ health—meaning musicians’ emotional, physical and psychological well-being—is a field that’s only emerged in the past 35 or 40 years. Like athletes, musicians playing at a high level of performance are subject to overuse injuries, performance anxiety and a variety of other disorders. Although musicians have been getting injured for a very long time, they have often been taught to play through the pain or that pain from practicing is going to always be part of their careers. for example, sometimes even in the professional music world today, it’s assumed that string players can play for an unlimited amount of time and are not as encouraged as brass and vocalists to stop playing if they are experiencing discomfort. I myself have frequently been in orchestra rehearsals where the brass players are warned to take it easy during the dress rehearsal for a concert, but the string section is giving no such acknowledgement. That being said, an approach to musicians’ health which encompasses all instrument groups is becoming more well-known and researched, especially in Australia and the UK. In an Australian study, it was shown that 84 percent of professional orchestral musicians had experienced pain or injuries that had interfered with practicing or rehearsals at some point in their career. At the time of the survey, 50 percent were experiencing pain and just less than 50 percent had recovered from an injury in their past. Furthermore, a study in the UK showed that musicians were three times more likely to suffer from anxiety or depression compared to the public. But in Canada, there isn’t as much research being done with playing-related musculoskeletal disorders or other performance-related health problems in musicians. Without having current, established scientific research and knowledge in this field, music educators and musicians rely on what they hear from other musicians, specifically other injured musicians. This creates a discrepancy in knowledge because not everyone’s injuries are the same and therefore not every treatment is the same. This is why this blog is going to be more about my experience and less about authoritative knowledge being passed from me to you, because I am not an expert. I’ll provide some scientific background as I continue researching this topic for my classes like I did above, but mostly this blog is experience-based. Some of my posts will suggest strategies, but these are always to be read with caution and autonomy, so you decide for yourself what strategies work best for you. I’ll always try my best to acknowledge when I am writing in such a way where my readers should take caution, but I hope to never appear like an authority on this subject. You should always research for yourself what is best for you, and if you are having pain, should seek professional help from your teacher, doctor, physiotherapist, massage therapist or whoever else you see fit. This is also a blog without buzz words. I am purposely using the words ‘health’ or ‘well-being’ because they can mean a variety of things to different people and they are non-restrictive. Sometimes I’ll cook vegan, sometimes I’ll eat meat when I’m at home in Peterborough because that’s what my parents cook for me. Sometimes I’ll order Dominoes or eat half a tub of B&J half baked on a Friday afternoon. This doesn’t mean I don’t have personal values or goals, but I also believe in variety. I think it’s important for this blog to be honest if I want musicians to realistically and actually incorporate some of my ideas into their everyday lives. 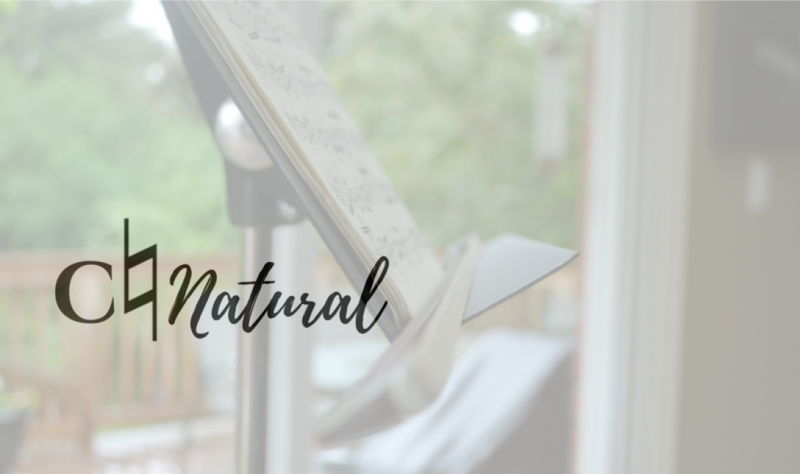 I always knew I wanted this blog to be about my journey as an injured violinist, but I also wanted to show musicians how living a healthy lifestyle with good practice habits could improve your performance, the longevity of your career and prevent injuries. I hope to inspire musicians and music educators to promote sustainable lifestyles, while also raising awareness for musicians with injuries or mental illness. Another goal of mine is to encourage musicians to be active outdoors, to get out of the practice rooms and exercise in nature, especially since we spend so much of our time rehearsing and practicing in small spaces. Thanks for reading, and I hope you’ll follow me on this journey to allow for every musician to make music! I too was injured at McGill and suffered many injuries in the past prior to my undergraduate. My time at McGill was rather destructive in the sense that I struggled with physical pain and received very little help from my private teachers on how to get better. To be fair my teachers were not physiotherapists, however, they didn’t teach with my anatomic structure in mind (and if they did, their knowledge was sometimes wrong) nor bare incredible keenness to my recovery. The main focus was always the product of my playing–the exterior–with little focus given to the inner workings of my body or mind. After struggling in the environment of McGill with physical pain, I developed extreme anxiety which eventually lead to severe depression years later. I believed that my self-worth as a musician was solely defined by how well I played and how I sounded. Continually struggling with pain throughout my undergrad I developed the belief that I was a lesser musician–an injured musician–and that I was most likely doomed to have a failed career as a violinist. I would always ask myself, “How can you have a career if you can’t play without pain?”. Another issue I had was comparing myself to others. Seeing other string students at McGill being able to practice for 5 hours a day and always playing with profound depth made me feel as though I would never win this competitive rat race I was in. I believe that this perspective doesn’t stem solely from my past competitive nature as an individual, but is strongly a byproduct of the conservatory model of education. This educational system pins students against one another in the hopes to create the very best of the best, however, I believe this cripples community and only supports the students who are already in the top percentage of performers in the school. Having such a biased system truly doesn’t offer a fair education for everyone and often leads to a scenario in which struggling students aren’t given serious attention and are often left to deal with their problems on their own. Due to being injured and having extreme anxiety, I believe that this model of education created a destructive environment in which support was limited and my needs were often met with attitudes of disbelief or plain disinterest. If my teachers and the administration don’t care deeply about my health then I am left to discover these things for myself. I believe McGill should make more of an effort to provide their students with the tools and resources and help they need to grow. If you don’t reset a bone it will heal misshapen and the structural support of that bone will be compromised. In the same light, if McGill isn’t providing its students with the tools and resources they need to reset and get to a normal state of being, the highly competitive nature of the school often drives students into anxiety or depression. I love the fact that you are writing this blog with a sense of community in mind. As musicians, our colleagues are often our greatest resources. Thank you for picking up the gauntlet and writing your first post. Thanks for your comment Sam, and I agree with what you said. I’ve had a very similar experience myself and it’s unfortunate that ours has become such a common narrative. This link between the mind and body is one that researchers in musicians’ health are starting to focus on, and where I hope to focus my efforts as well. It’s only through acknowledging the connection between all aspects of health and making appropriate changes to the music education systems that we’ll be able to see a decrease in musicians’ injuries and mental illness. If you’d ever like to contribute to this blog, please let me know.